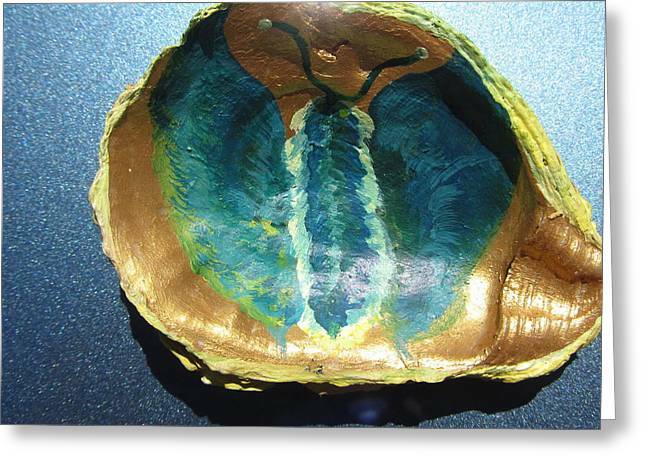 Butterfly On An Oyster Shell is a painting by Debbie Nester which was uploaded on September 20th, 2013. 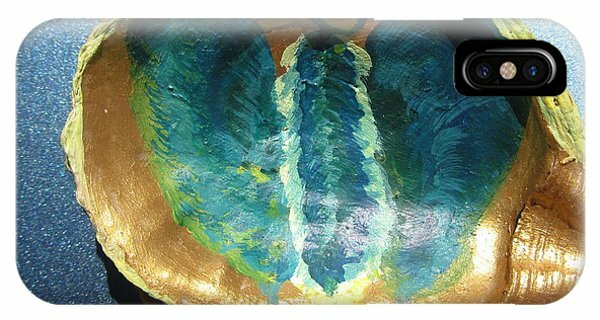 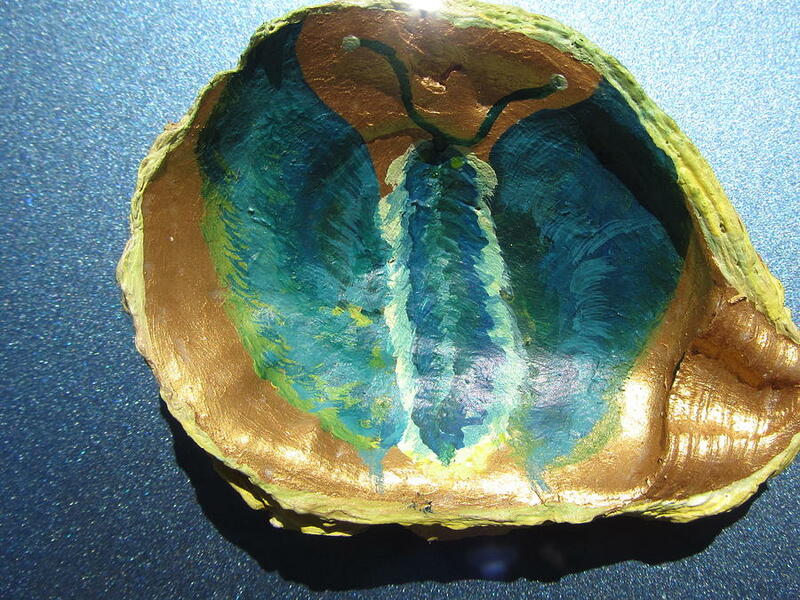 This is my Acrylic Gold and Watercolor Painting of a Butterfly on an Oyster Shell. 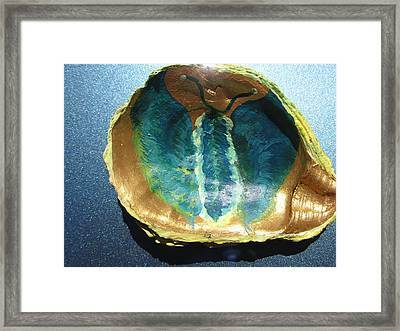 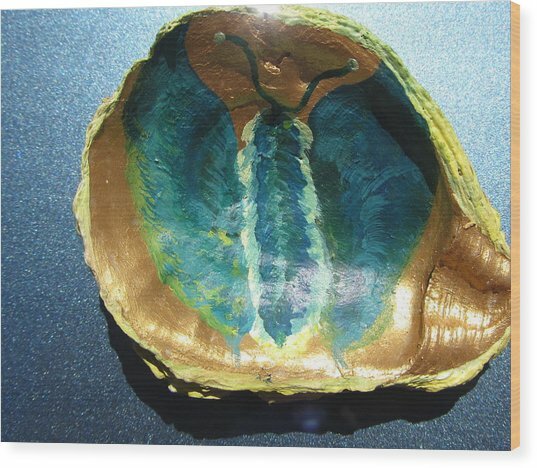 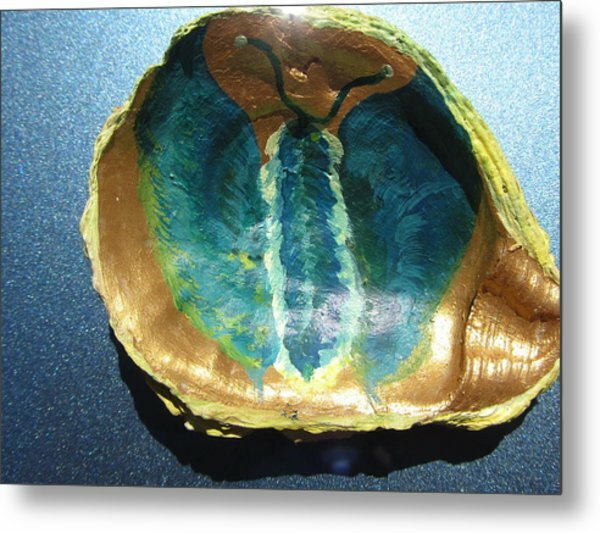 The Original Oyster Shell with the Gold Acrylic and Watercolor Painting of the Blue-green Butterfly is available for purchase for $40.00 from me, and it is approximately 3" x 4"